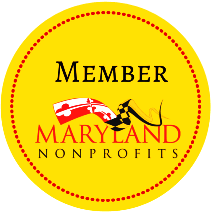 Background: The National Committee for Quality Assurance is a private, 501(c)(3) not-for-profit organization whose mission is to improve the quality of health care through measurement, transparency and accountability. 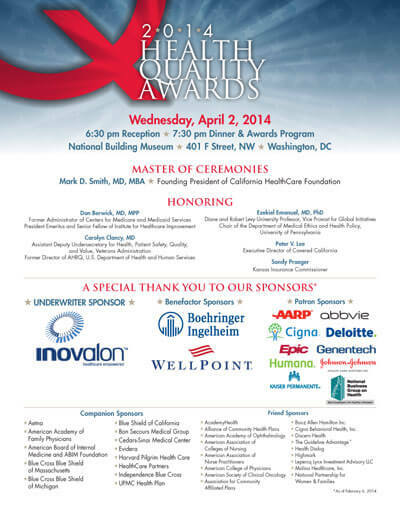 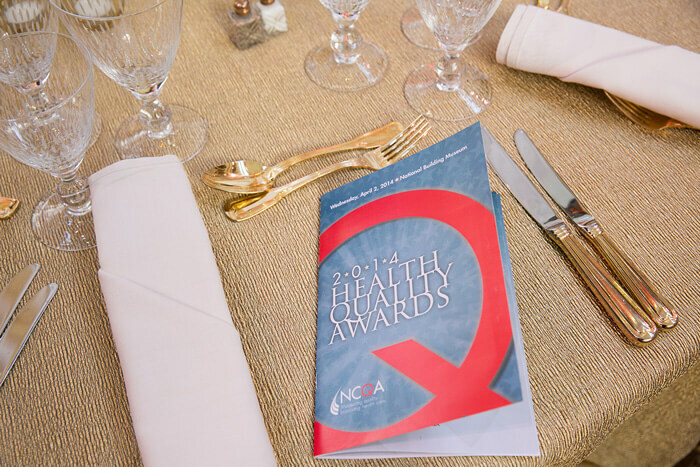 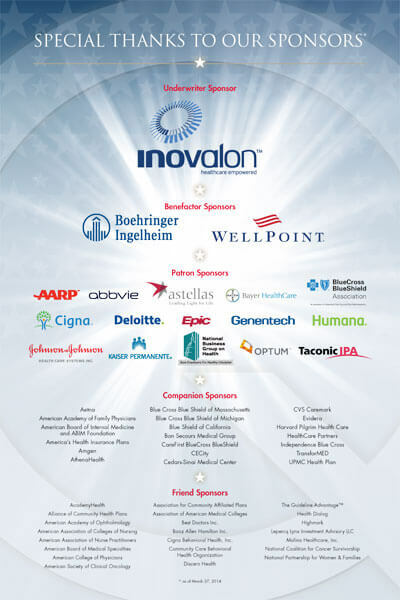 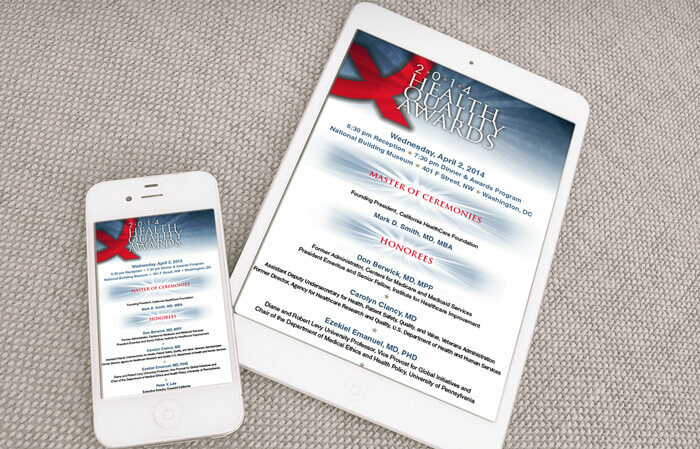 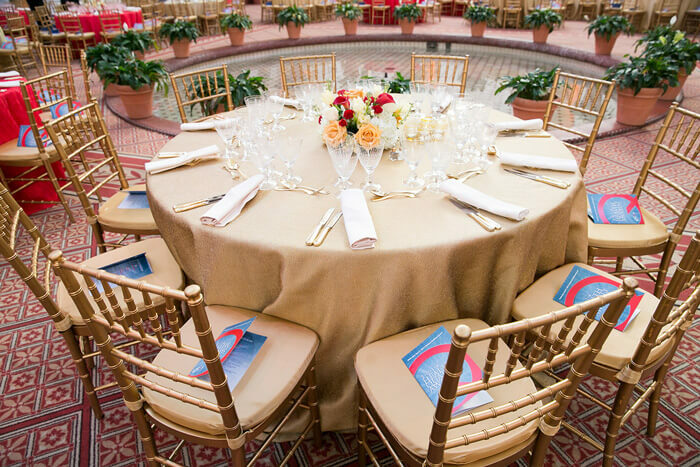 Their annual Health Quality Awards event recognizes those who have demonstrated an ongoing commitment to improving the quality of health care. 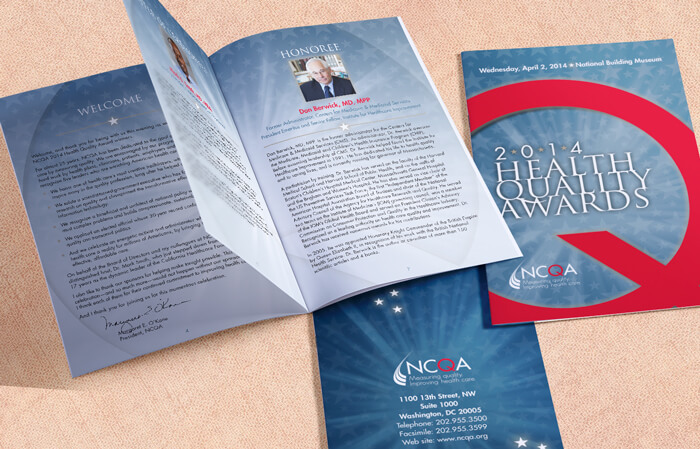 Problem: NCQA needed a design for their event that would attract sponsorships from relevant corporations, associations and foundations. 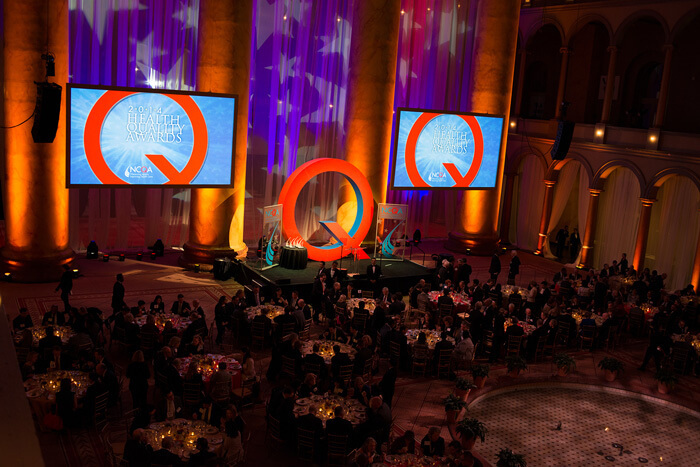 They wanted the red Q from the logo, representing quality, to be the focus. 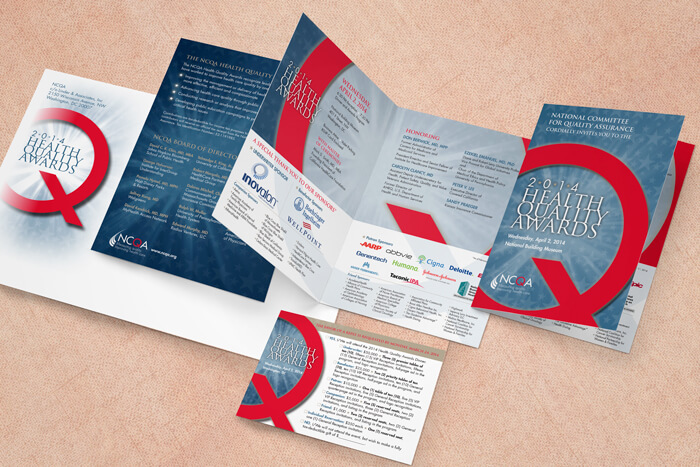 Solution: The design incorporates the red and blue from NCQA’s primary color palette and features an elegant look that is consistent with their brand, revolving around the Q.